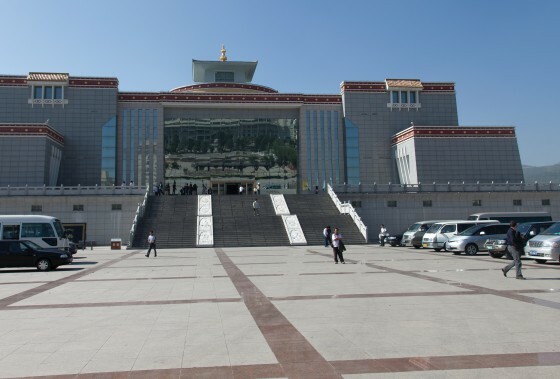 Amid a sea of factories in Xining’s Biotech Zone, there is one building that stands out: the Tibetan Medicine Museum of China, a grandiose structure that blends elements of traditional monasteries with contemporary Chinese tastes. 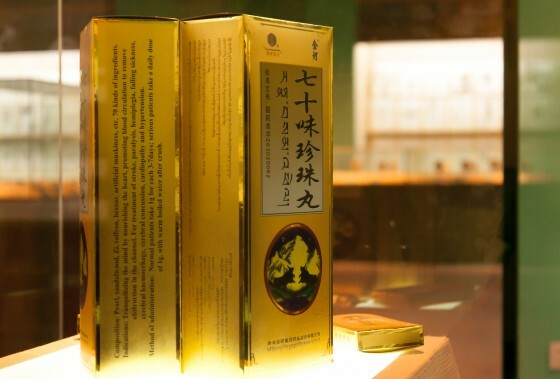 The museum, established in 2006, is the brainchild of the Qinghai Arura Tibetan Medicine Group. 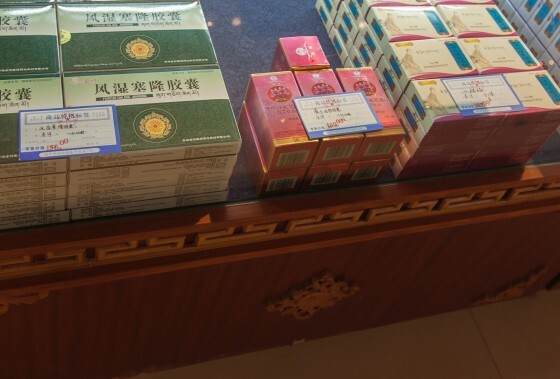 The company not only runs the biggest pharmaceutical factory in Qinghai Province, but also the Tibetan provincial hospital, a research center, and a Tibetan medicine college at a local university. 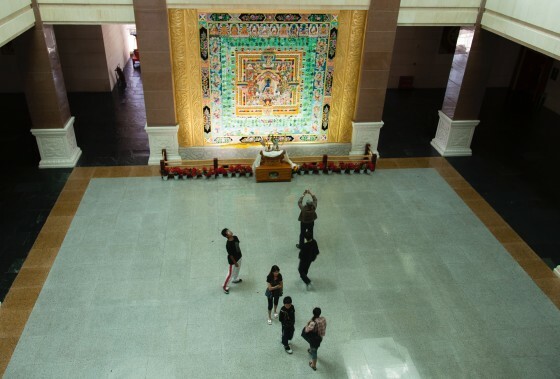 The museum’s upper floor houses the world’s largest thangka painting—nearly 2,000 feet long and worth an entry in the Guinness Book of Records. 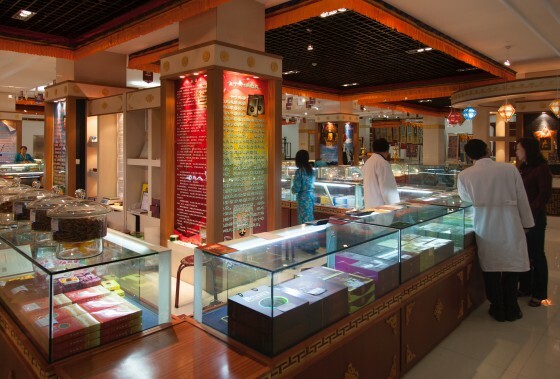 The basement features a lavish sales area where young Tibetan women in meticulously decorated dresses (harmonized with the colors of the shop’s interior design) sell medical products from the Arura company. 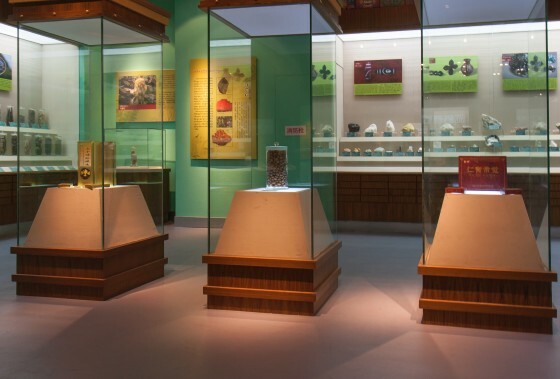 The juxtaposition suggests that the museum is more than an expression of commercialism, but instead an ambitious Tibetan effort at claiming a space for Tibetan medicine in contemporary China.